The hot, hot summer heat is finally starting to come to a close with the cool, crisp days of autumn right around the corner. To help you deal with the seasonal shift and welcome in the colors of fall, Arrow is giving viewers seven new films to keep you nice and cozy. 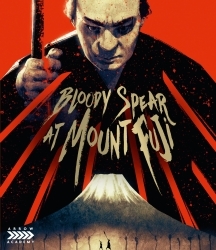 The slate begins with a couple of new entries from Arrow Academy starting with Tomu Uchida’s Bloody Spear at Mount Fuji. This road adventure set during the Edo period is equal parts comedic and dramatic. A samurai and his two servants go on an epic journey is this hidden gem finally getting out to a wider audience. 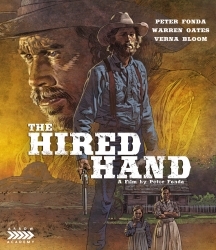 From the Far East to the far west we shift with the release of the Peter Fonda directed western, The Hired Hand. Initially disregarded by critics and audiences, the film experienced a bit of a renaissance in 2001 thanks to a release from the Sundance Channel and is now considered a western classic. The film stars Fonda alongside Warren Oates. The Arrow Video side brings out the reds of the season with two new horror titles starting with a brand new 4K restoration of Dario Argento’s horror masterpiece Deep Red. 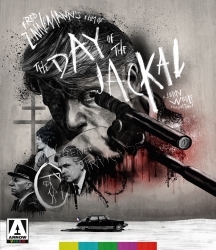 Long regarding as one of the greatest Italian horror films of all time, this edition comes fully loaded with bonus features to cure your Argento fever. 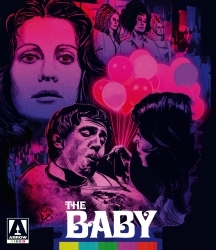 Joining Deep Red is the extremely bizarre horror entry, The Baby. This strange look at an eccentric family and the social worker assigned to deal with them is sure to leave an impression. This release of the film includes a new retrospective from film professor Rebekah McKendry. 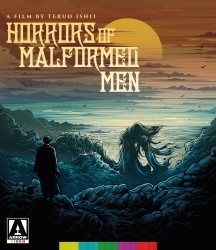 If you’re looking for a different brand of cult, Arrow has you covered with Horrors of Malformed Men and The Pyjama Girl Case. The former is a Japanese horror film from 1969 about a medical student that is perfectly sane but somehow ends up in an asylum. This classic is praised for its stylistic approach that lands all over the map. The latter comes from director Flavio Mogherini and is the only giallo to take place in Australia. 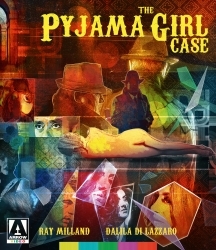 Following the true story of an unsolved Australian murder about a young girl that turned up dead on the beach in distinctive pajamas, this haunting giallo is sure to send a chill up your spine.